Appliance Packaging making better customer experience. SimPads offer a cost effective solution for appliance packaging with protect appliance parts better than other packing solutions. Feel better knowing your appliance parts ship safely to your customer the first time around. The SimPad solution will provide maximum speed for your packing lines and enable you to get the part to the customer quicker – see just how fast in the videos below. Avoid pack line jam ups and broken machinery problems by switching to the SimPads as ready to go solution. Rest assured your customer gets their appliance up and going with your parts safely shipped in SimPads. 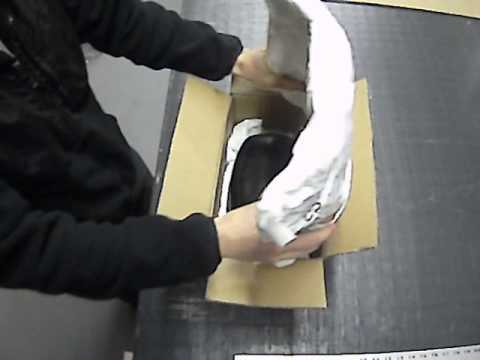 Please take a look at the videos below to see some appliance parts being packed in SimPads. Click here to learn more on how to use the SimPads appliance packaging technology.